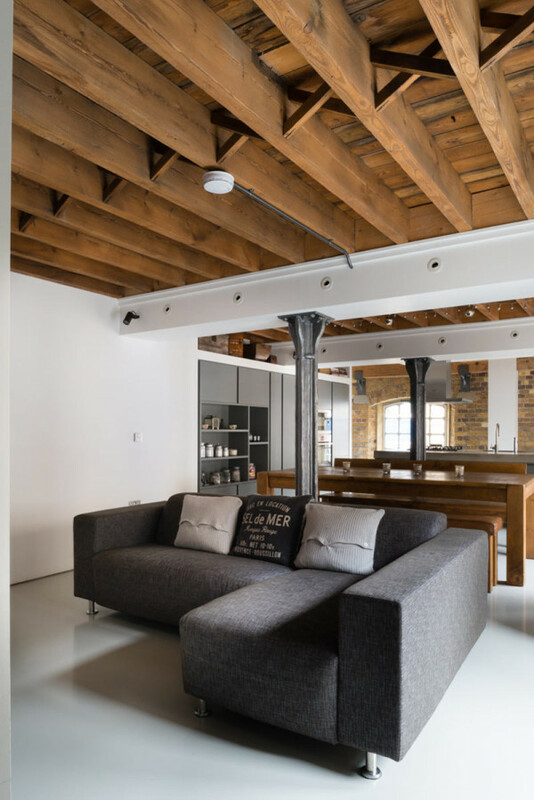 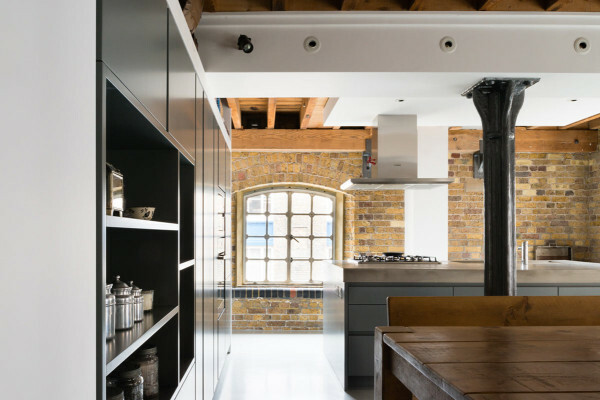 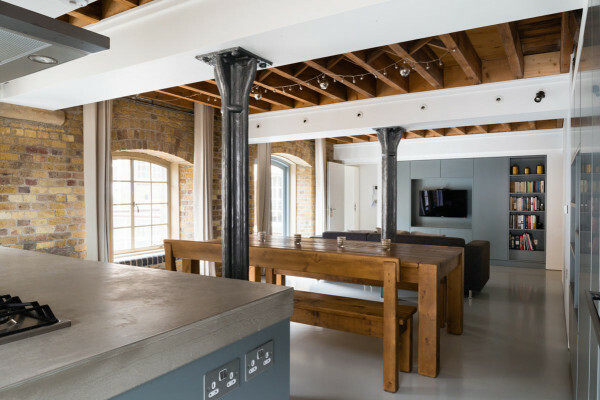 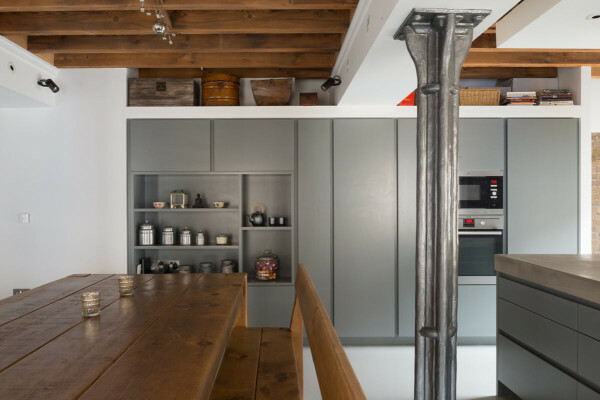 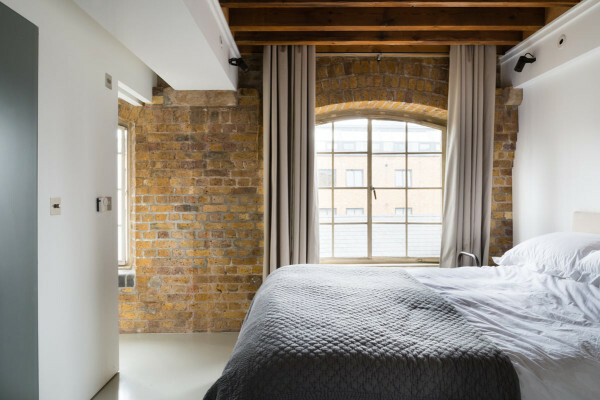 They brought the apartment back to its original industrial charm and reworked the plan to make it a flexible space filled with natural light. 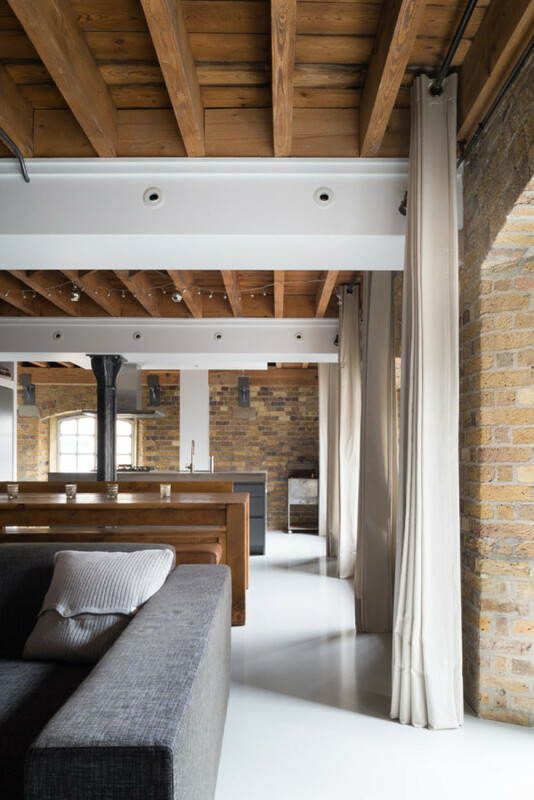 They lived original wooden joints and exposed bricks. 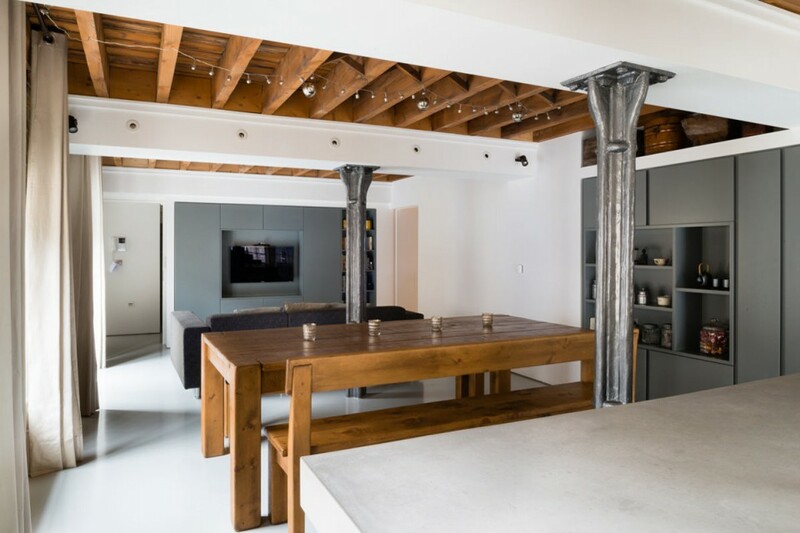 Existing iron columns remain in the center of living room and help to divide the functions of the space.